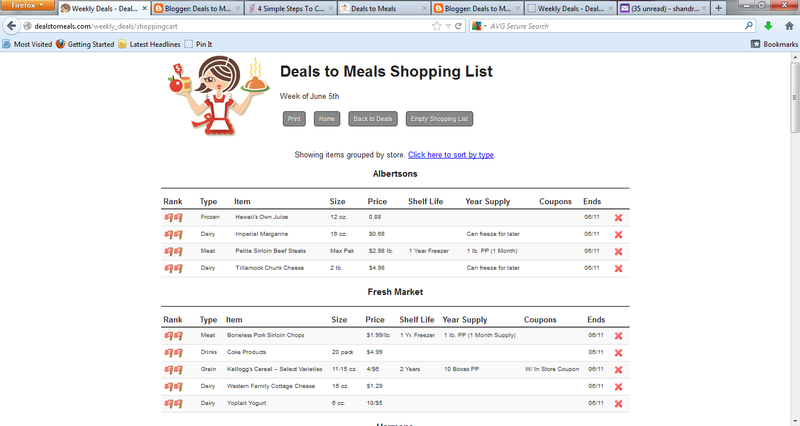 Deals to Meals was spotlighted on KSL News last night! I had such a fun time with Ashley Kewish from KSL. I was humbled when they contacted me and asked if I wanted to help them with this news story–in today’s economy, who isn’t looking for ways to save money? Needless to say, I was thrilled! I was excited to show people how easy it is (without clipping coupons) to save money on their groceries, eat healthier meals, and learn to plan their meals around those items on sale each week. Anyone that knows me, or uses Deals to Meals, they know I am a HUGE advocate of dinner time with family–on a budget. We don’t have to feed our family processed or prepackaged meals. With a little planning, and using our service, it is easy to put together healthy, fresh, and homemade meals on a budget. Feeding your family a homecooked meal and having a stockpile of food in case of emergencies can bring a lot of joy and peace of mind to your families. STEP 1: Login to our website (become a member for 2 weeks for FREE and after that it is only $1.13 a week–whos time isn’t worth a dollar a week? No brainer!). Then, select the state you want to shop from. STEP 3: Look through the weekly meal planner and decide which recipes/meals your family will want to eat that week. You don’t have to choose all of the meals, these are just suggestions of meals that can be cooked from the sale items that week. Create your own meal plan or use ours–either way, the hard work is done for you! 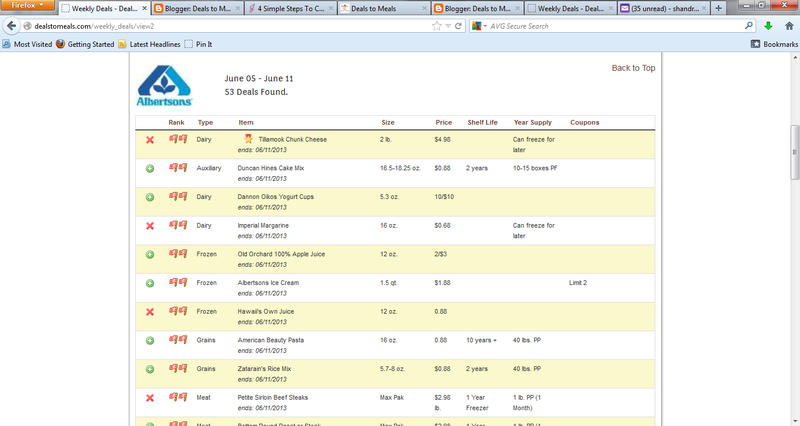 STEP 4: Create your own grocery list using our premade grocery list or selecting your own. Using our put together grocery list for the meal planner means you can be shopping within minutes and know exactly what the least expensive prices are for each item in your meals/recipes for the week. SO easy!! 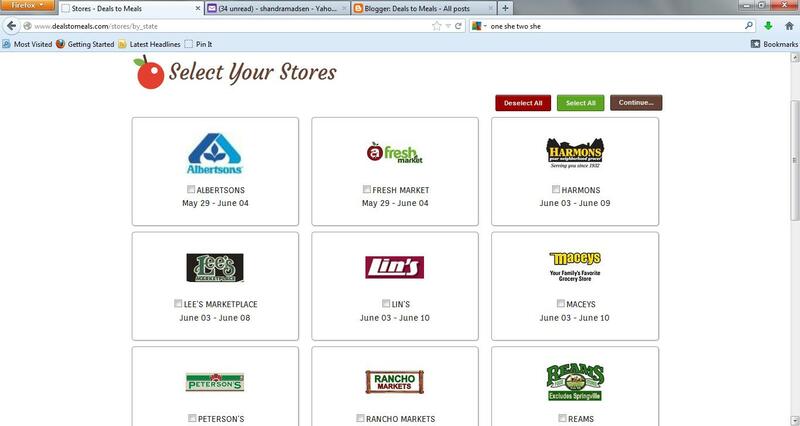 Print your grocery list with all of the stores and deals you have chosen to buy. Sort the grocery list by store or by product type. Sorting by product type makes price matching a breeze! Off to the grocery store! Shop at several grocery stores or price match ALL of the great deals at Walmart (this is what I do for one-stop FAST grocery shopping). Bananas, oranges, and extra apples. Extra packages of brown sugar, powdered sugar, canned tomatoes, canned refried beans, ketchup, pork n’ beans and canned beans to add to their food storage. Hey Shandra, got a question. I noticed in the video clip that you went to Macey's as well as Walmart. Were those items you couldn't price match? On that same note, can you price match meat? They don't often put brands on meat. I didn't 'need' to go to Macey's, but Walmart would not let the cameras video in there store so we had to go to a different store so that they could have footage of me shopping. I did get a few case lot items while we there because they were having their case lot sale. Walmart will price match meat as long as they have that same brand (i.e. Jimmy Dean for Jimmy Dean). If it is a cut of meat like Rump Roast, they will price match their butcher meat for that same cut of meat. Thanks to KSL's news story, I found YOU! So happy to be a follower of your blog. Thank you for all your time and amazing tips. I've been doing your system for several years now and can I just say wow to how much time and money I have saved! My question is what do you do for diapers? I have too much to do to be a coupon clipper and I'd much rather not use the processed foods that most of the time the coupons promote. Do diapers ever really go on sale – is one brand better than another? Since that is a costly expense (and we have a new one on the way in a month) I'd like to get your take on what works best. if i could..make a diaper comment. I have twins, both extremely tender bums, so far Pampers is what i'm stuck with. I just found on Amazon they have a Subscribe and Save feature. It's amazing. Pretty much set up on an auto ship once a month to my house, no shipping cost, and I get the HUGE box of 176 for just $22. Check it out. 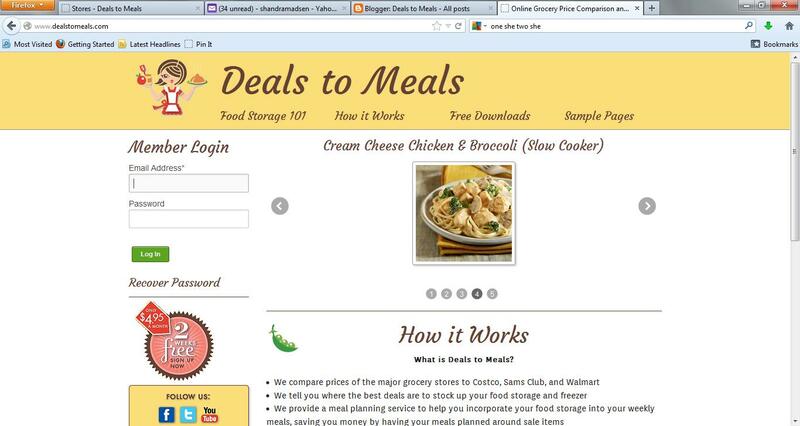 And loved the story, I cannot do coupons, and I have loved your site. Thank you. I tried clipping coupons for a while, but the time and effort didn't seem worth it, and they only offer the name brands. I have loved the service you provide, and have been able to build up a substantial food storage. Thank you! But yeah, I found when I did coupons, we didn't eat as healthy, and it took a LOT more time making my list, clipping coupons, AND having to plan my meals on top of that… and sometimes I spent MORE money because I would get things that we don't usually get, thus upping our total bill. So THANK YOU for your service you provide, makes life sooo much easier! Ok, I just have to say, you won that challenge HANDS DOWN! I mean no disrespect to the other contestant or to coupon clippers at all (they can definately be good – specially for toiletries and things you will buy anyway.) But, when you compare what you were able to provide for $100, versus the coupon menu -, yours was so much substantial and healthy. And, there was a ton more food!! It was obvious, but they didn't mention it. So, I just have to say congratulations — you did amazing! Thank you everyone for your kind words! I am glad you enjoyed the segment and that you are liking Deals to Meals. Thanks to all of you for your support these past few years!! It just depends on the Walmart you shop at. Some Walmart's will accept our print out and don't need ads, others want you to show the ads. Most Walmart's I have been to don't ask for ads unless the product is more than 50% off their regular prices. Items that are less of a percentage off, they don't seem to ask questions. We have tips on our blog for more price matching tips if you would like. My best advice would be to talk to the manager of your Walmart and ask what their specific store's policies are. Good luck! It can save so much money and be such a time saver. Agreed to all the good stuff above! Long live Deals to Meals! I had no problem whatsoever convincing my husband that a few dollars for a membership here was going to be well worth it. He even visits the site once or twice a week and does the shopping. I've never been a real coupon clipper for the same reasons as above; it's just spending money on stuff I wouldn't normally buy. I always say, not buying it at all is always cheaper. Why buy something just because it's on sale if you wouldn't normally use it? Silly. I do have a question about your food storage though. You have a lot of recipes on your website that you say are favorites, etc. What meals do you have in mind when you are buying for food storage? Are there set meals that help you know what you want in your stockpile? Or are you buying things that will always work with the recipes you use? I don't know if this makes sense, but it's what I'm confused about when trying to make my own food storage. I would like to have a 3 month supply of storage (based on how much room we have), but I have to only buy what we will use so it seems I need a set menu. Any help you can give? Great question. Yes, you will want to plan your food storage around meals your family eats on a regular basis. I usually tell people to choose 1-7 meals that your family enjoys eating for breakfast, lunch and dinner. Start with one of each–ex: cereal for breakfast, pb&j sandwiches for lunch and spaghetti for dinner. If your family eats these three meals then you can begin to build your 3 month supply of these meals and add the ingredients to your food storage. Think in complete meals however–if you stock up on cereal, make sure you are stocking up on powdered milk as well. I just posted this to our RS group. We have a lot of talk about this and I was happy to see that you are in TX now. I think it is a great opportunity to get coupon with shopping. There is no one that will miss the offer. I must take this offer.